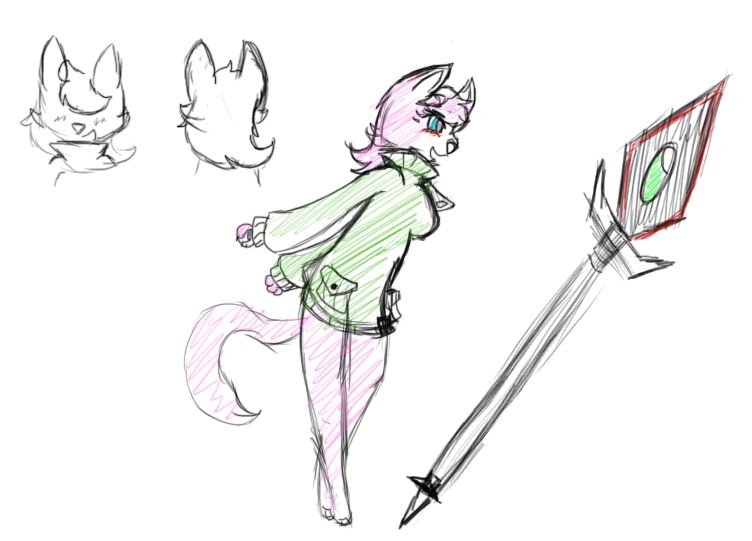 So, more of this time traveling cat, and her weapon of choice. Spear Lance thingy, with a magic infused gem. The material of the weapon was made by another character. Looks cute to me. c: Liking the weapon design as well!